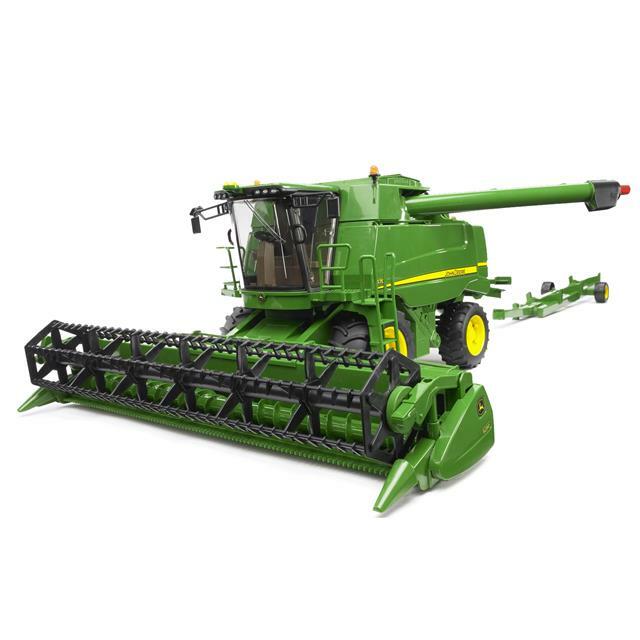 John Deere, the world's leading tractor manufacturer, also makes combine harvesters. While the technology incorporated into these impressive machines, for the most part, operates unseen by the casual observer, children are always fascinated with the spectacle created by combine harvesters when harvesting crops. 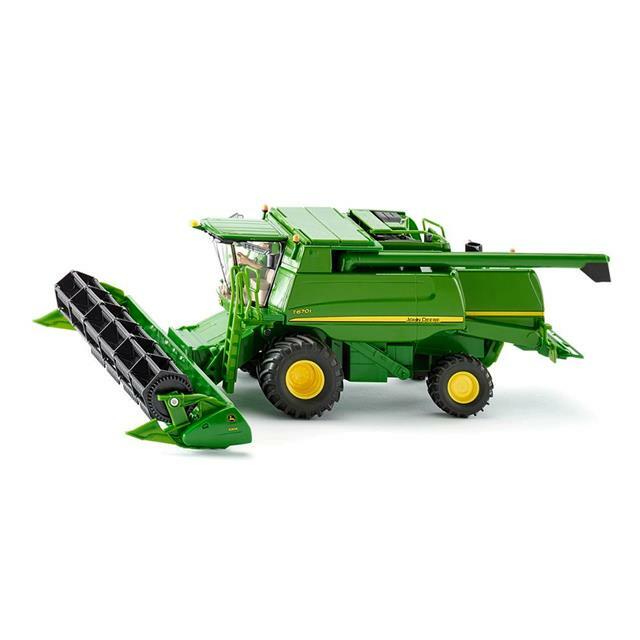 With the John Deere combine harvester Bruder has made this technology come to life and turn it into a tangible experience. Little farmers will be thrilled to learn how easy this big harvester steers and how exciting it is to be able to drain the grain tank via the drain tube. Its other realistic details include an opening door, numerous opening covers, and a detachable cutting unit with pendulum suspension and level compensation.